Beach BOOSTER Radio Podcasts - BEACH CORNER with Dianna Chycki-Originally broadcast Sept 04.15 on Beach BOOSTER Radio. BEACH CORNER with Dianna Chycki-Originally broadcast Sept 04.15 on Beach BOOSTER Radio. Description: On this edition of BEACH CORNER, Dianna's guest, via phone from Ottawa is Steve Marriner, vocalist, baritone, guitarist, harmonica and organ player from MONKEY JUNK - well known as the "go-to-guy" as a producer, sideman and session player. 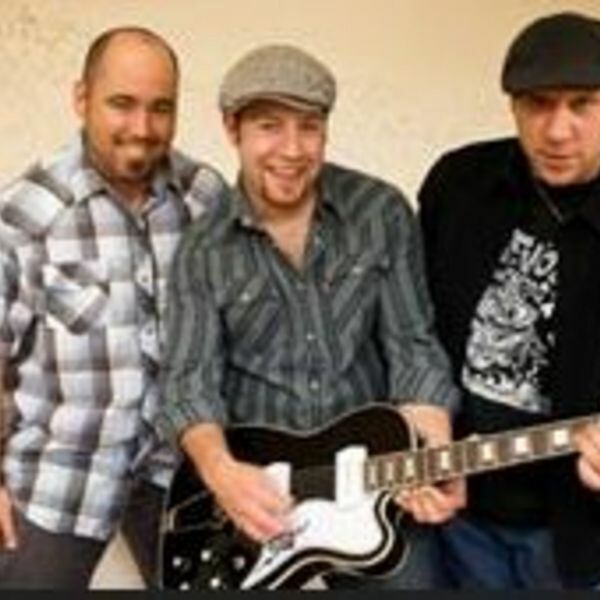 MONKEY JUNK, Ottawa-based trio band, is one of Canada's heaviest bands since Big Sugar and will be performing at the upcoming Stonebridge Wasaga Blues Festival scheduled from September 18th to 20th. Photo provided. On this edition of BEACH CORNER, Dianna's guest, via phone from Ottawa is Steve Marriner, vocalist, baritone, guitarist, harmonica and organ player from MONKEY JUNK - well known as the "go-to-guy" as a producer, sideman and session player. MONKEY JUNK, Ottawa-based trio band, is one of Canada's heaviest bands since Big Sugar and will be performing at the upcoming Stonebridge Wasaga Blues Festival scheduled from September 18th to 20th. Photo provided.